Collectors! Lovers of all things Barolo, have we got a doozy today, oh yes! 95-POINT, single-vineyard brilliance from our friends at Manzone (we just visited there 2 weeks ago!) at our usual mind-bending, reality-distorting pricing -- truly astounding for a wine at this level!! *** If only we got more! Sellout alert today! The ‘13s from Manzone are jaw-dropping -- wines that make you sit up, pay attention, and let the complexity and warmth just stimulate your senses. The balance is just superb --- every sip gives you something different, something unexpected…tea, dried cherry, sweet black cherry, mineral and hints of smoky wood, perfume, incense and a crazy long, complex finish -- all without being heavy. Just wonderful integration and harmony. Harmony! That’s the ticket!! Utterly compelling at our price. A MUST if you love Barolo -- and who doesn’t, c’mon!! But as we said, very little to go around...first come, first served…! In 1925 Manzone Giovanni purchased “Ciabot del Preve” (the Parish Priest house) and he started the winemaking in Monforte d’Alba. 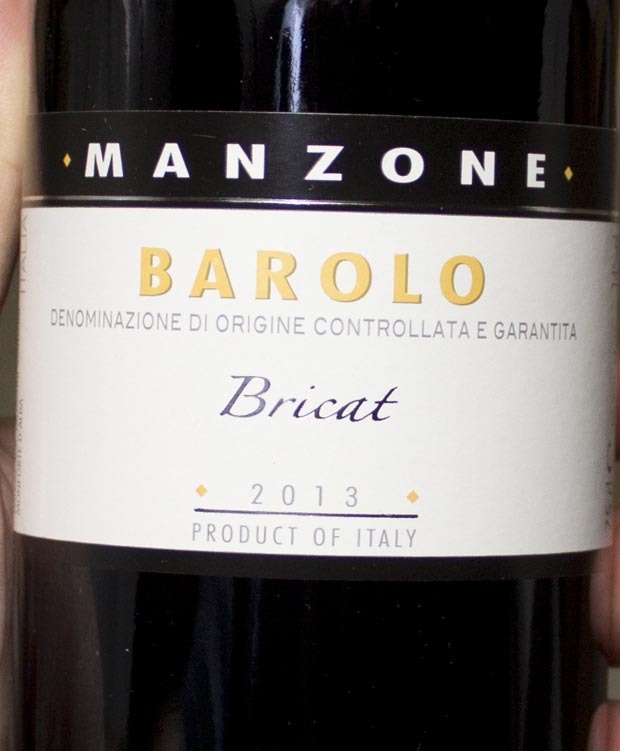 During the years the Manzone family purchased important vineyards on the historic hill of “CASTELLETTO” and “GRAMOLERE”, two of the best crus in Monforte d'Alba. In the last years Mauro (2005) and Mirella Manzone (2012) joined their father Giovanni in the management of the winery. Mauro and Mirella are graduated from the famed Oenology School of Alba. Manzone Giovanni winery is located in Monforte d’Alba, Piedmont. The entire production is focused on high- quality and limited to about 50,000 bottles per year. 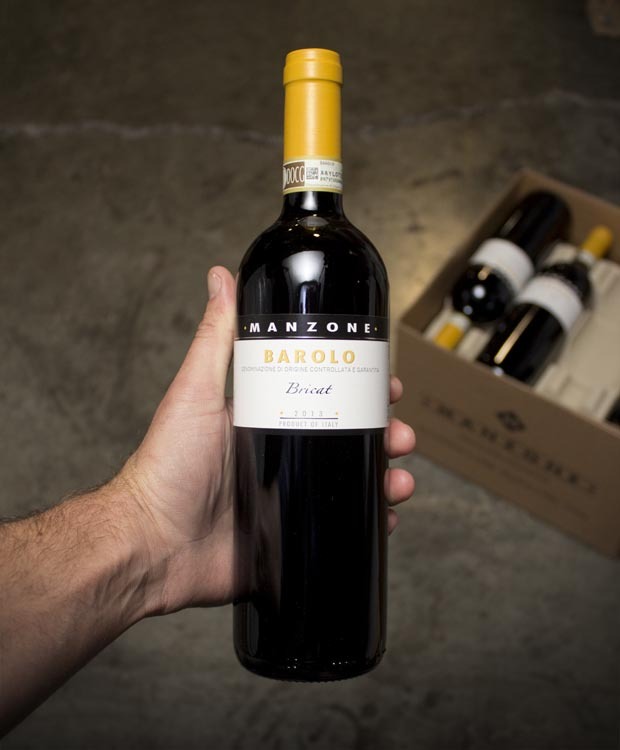 The vineyard ELEVATION (350-500 metres, 1,100-1600 feet), the EXTREME STEEPNESS and the GREAT TERROIR foster naturally low-yielding vines which produce wines that are approachable while young, yet remain amongst the most concentrated and longest-lived of all Barolos. We cultivate our vineyards following healthy and sustainable viticultural principles Natural grass is left between the rows of vines, mowed and left on the ground to form humus. All the wines are unclarified and unfiltered, and added in minimal amounts of SO2. With braised beef, roasts, truffle dishes and seasoned cheeses.